This is the first of a series of posts from AIChE's Apprentices. The Apprentices are young professionals with a passion to go beyond their jobs to make a difference in the world of chemical engineering. Apprentices create or contribute to a project of interest to them with the help of their peers and AIChE mentors. The Apprentices meet at Spring and Annual meetings and receive subsidized membership throughout their participation in the program. Read more about the ChEnected introduction to the Apprentices and apply to join the program. This case study is part of a series designed to help students and younger engineers develop business problem-solving skills through real engineering scenarios. Each case study will provide practical applications of specific, real-life examples to develop the strategy skills that leading companies use to succeed in the marketplace. Our client, Petro-Oil, is a mid-sized oil and gas exploration and production company with major areas of exploration located in South America, Gulf of Mexico, Western Africa, China, Eastern Europe, and several other countries. The Board of Petro-Oil has just set an ambitious goal to be completed in the next five years: To be the largest oil and gas producer in Asia by the end of 2017. A quick market research inquiry shows three major competitor companies (Table 1) that are larger than our client. To support their new aspirations, our client just purchased Ceylon-II, a large deepwater oilfield offshore in the South China Sea. Table 1: Benchmark Results (million barrels of oil equivalent): [table id=27 /] Petro-Oil's management team has hired your company to do a diagnostic of the company's current portfolio, operations, and organization to help them understand what they need to do to achieve this goal. The current extraction rate of Competitors A, B, and C are much higher than our client and hold, at a minimum, 10% extraction rate. 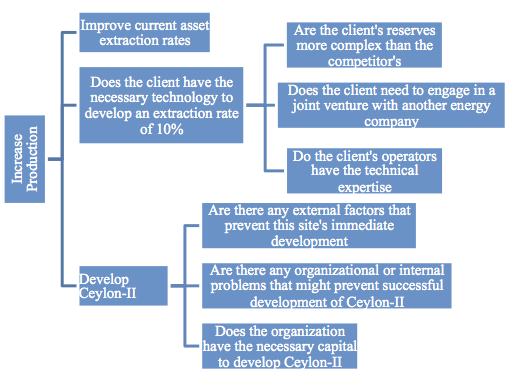 The client's current production rate needs to increase and the new asset has to meet the current standard of 10% extraction rate. Further exploration in the area to gain new assets for additional production is key for growth and to increase the extraction rate. Even with these two current assets, the client's current reserves are still less than the region's the largest producer. What initial recommendations would you give to the client? 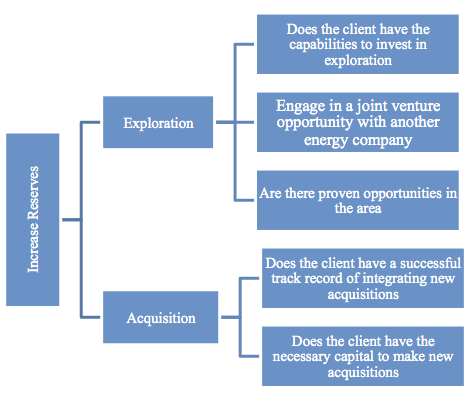 What further analysis would you recommend to the client? Determine the best catalyst replacement interval for fixed-bed reactors, boost fan performance and efficiency, meet the Caltech 6, and much more.